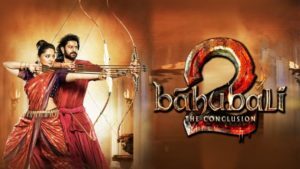 Baahubali 2: The Conclusion is an epic historical fiction film directed by S.S.Rajamouli. Abirami Cinemas Complex 10:50 AM; 02:30 PM; 06:30 PM; 10:30 PM. Mani Impala Multiplex A/C 10:30 AM; 02:15 PM; 02:15 PM; 06:15 PM; 06:15 PM; 10:15 PM; 10:15 PM. Shanmuga Cine Complex 10:35 AM; 02:20 PM; 06:20 PM; 10:20 PM.